It’s frustrating how certain people can’t get their act together. Nevertheless they’re doing the best job they can. Help out by being upbeat. Stop the conversation and back up. The news is more positive than you think which is why colleagues are startled by your gloomy response. Today’s Moon/Pluto sextile shows that future success depends on the attention you pay to details. The smallest shift makes or breaks a grand design. You will soon face a choice between the familiar and the different. Things you took for granted show unexpected promise. Touching base with someone who knew you when is uplifting. It brings perspective and reminds you of priorities that got lost in the shuffle. Are you staying with a situation out of stubbornness or loyalty? It’s hard to tell. It might be a good idea to start afresh somewhere else. Watch it. Someone who said s/he would be there for you may have second thoughts. Put out feelers now so you’re not left hanging. You may have to accept a reduction in pay or a lowering of status in order to move forward. Do it. Making progress is what’s important. Instead of struggling with an obstacle, see what happens when you work with it. Problems have a way of containing their own solutions. You followed through with a strategy and it didn’t work. Instead of coming up with excuses, implement plan B. That’s what it’s there for. Dole out pledges carefully. Many people will be looking to you and you want to be sure you’ve the time and resources to honor each of them. 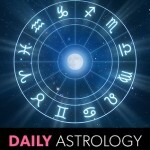 Today’s grand trine in water is especially beneficial. There’s support for your cause as long as you come across as sympathetic.